What does HomeTrust Bank do with your personal information? All financial companies need to share customers’ personal information to run their everyday business. In the section below, we list the reasons financial companies can share their customers’ personal information; the reasons HomeTrust Bank chooses to share; and whether you can limit this sharing. such as to process your transactions, maintain your account(s), respond to court orders and legal investigations, or report to credit bureaus Does HomeTrust Bank share? YES Can you limit this sharing? to offer our products and services to you Does HomeTrust Bank share? 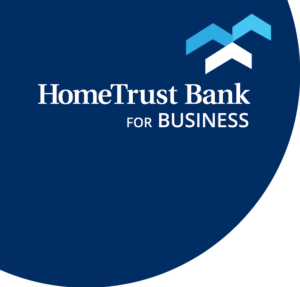 For joint marketing with other financial companies Does HomeTrust Bank share? information about your transactions and experiences Does HomeTrust Bank share? information about your creditworthiness Does HomeTrust Bank share? NO Can you limit this sharing? For our affiliates to market to you Does HomeTrust Bank share? For our nonaffiliates to market to you Does HomeTrust Bank share? How does HomeTrust Bank protect my personal information? To protect your personal information from unauthorized access and use, we use security measures that comply with federal law. These measures include computer safeguards and secured files and buildings. Our affiliates include a bank holding company and a wholly owned service corporation acting as trustee on mortgage loans. Nonaffiliates we share with can include investment firms, credit card issuers and insurance agencies. Our joint marketing partners include investment firms, credit card issuers, and insurance agencies.